From Elizabeth Cady Stanton, who fought for women’s voting rights, to Rosa Parks, who helped launch the Civil Rights Movement, American women have and continue to contribute to our nation’s progress. In honor of Women’s History Month, it’s important to recognize the achievements of both historic trailblazers and women who accomplish great things every day. 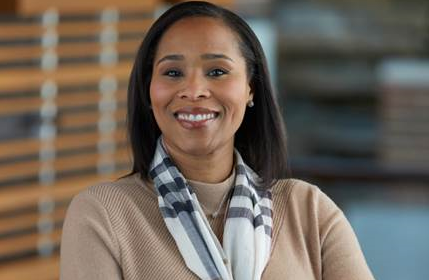 ComEd Vice President of Customer Channels Nichole Owens is no exception. After 20 years with ComEd, Owens exemplifies what it means to be a strong and inspiring woman in today’s workforce. In her current role, she is improving processes and tools so that ComEd can meet customers’ growing expectations for their energy provider. But just as important, she is helping to shape the future for other women. “I am most proud in helping to create an environment where other women can be seen as strong leaders and having the opportunity to reshape how women can succeed in untraditional female roles,” she said. Owens stresses the importance of diversity and inclusion in the workplace, and how it’s a key part of ComEd’s culture and business success. Owens can’t crack the glass ceiling alone. She says she has had several mentors who have been models to her for what it means to be a female leader. Above all, Owens emphasizes the importance of being yourself in the workplace to become successful. “Be your authentic self. Just be who you are, and be that every second of the day,” she said.